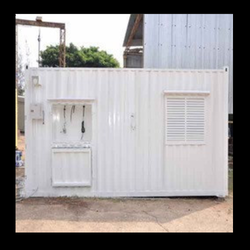 We have emerged as foremost manufacturer, exporter, distributor and supplier of Mobile Work Shop. Our product is ergonomically manufactured with quality proven material and modish technology under the direction of our professionals. We offer this product on numerous customized options so as to meet the requirements of customers. Our patrons can avail this product from us at reasonable price in a stipulated time frame. We are well-reckoned for offering an exclusive assortment of Bunk House Work Station. The offered workstation is designed by our experts using finest material & leading techniques in adherence with the set norms of industry. This workstation is checked from our side so as to dispatch a flawless range at customer's end. In addition, we provide this workstation on numerous customized options as per the demand of our clientele.